Scents are powerful triggers, especially during the holidays when a lot of people associate what they smell with wonderful feelings. They are certainly great for setting the right mood for a party or gathering. Scents don’t have to cost a lot to be effective, so anyone can take advantage of them. Having people over for the holidays? Whether you opt for candles or make your own concoction of essential oils, make sure your bathroom is ready for your guests with these scents. There’s nothing quite like baked goodies to put anyone in a good mood. Holiday memories often include a fair share of apple pies, so you’ll definitely create a warm and cozy feeling with this scent. Crisp and refreshing, pine can feel like a breath of fresh air in a bathroom. It doesn’t overwhelm and smells clean, complementing the new look of a master bath remodel. Sweet, soothing vanilla is a great holiday scent because it’s subtle. It doesn’t overpower so it’s ideal for use even in small bathrooms. Aside from candles and essential oils, you can also use fragrant hand soap to add your scent of choice to a bathroom. Besides making sure your bathroom smells great, you can also get your home ready for the holiday season by making sure everything is clean and functioning as it should. If you’ve been considering a home upgrade or remodel, now is the perfect time! 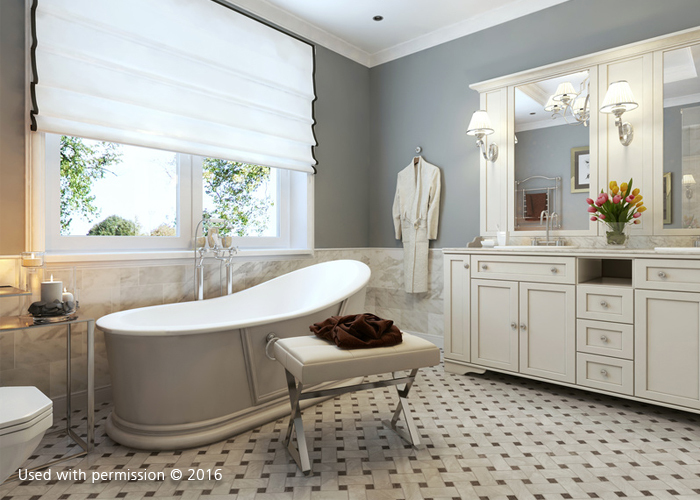 DreamMaker Bath & Kitchen of Charlotte is committed to addressing your every remodeling need. Whether you need to redo a small bathroom or update a kitchen, our expert team has you covered. To learn more about what we can do for you and your home, just give us a call at (704) 243-8887. Let’s start a conversation!